If you’ve been waiting all week for Robert Mueller to say something, then today has been a big day. While there is more to come, the 800 page Manafort sentencing memo that Mueller filed late Friday night is more than many of us expected to get in Mueller’s final report. 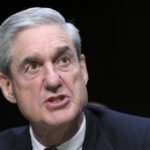 It needs to be stated clearly that Mueller has been following a brilliant strategy all along, of telling the Trump-Russia story through court filings, as a way to spread out information and make it much more difficult to bury Trump-Russia evidence. Lest you think these lengthy filings are consistent with the way Mueller generally prosecutes cases, we have learned it is not. Mueller generally reveals in his filings only the information most relevant to the specific charges. Those who have worked with and for him use the phrase “by the book” to describe him and his style. They describe him as a man who plays his hand tight to the vest. Those who have worked with him have said his court filings in the Russia investigation tell far more of a story than is necessary, and they describe this approach as something that is unusual for Mueller. By placing this information in a filing, Mueller is importantly spreading this information outside of the Department of Justice, potentially doubling the number of people who have access to it and have seen and read the full unredacted versions of the filings. The court will be able to make the redacted information public, as soon as related investigations and cases are finished. It is very important to note that new Attorney General William Barr did not successfully impede the submission of this extraordinary filing. While it would be highly unusual for the Attorney General to step in and do so, he is Robert Mueller’s boss, in theory would be able to. Even more importantly, Mueller’s lengthy speaking court filings show he has been planning for the possibility that his investigation could be shut down and his final report could be buried from the very beginning. These filings are just one of many contingency plans.